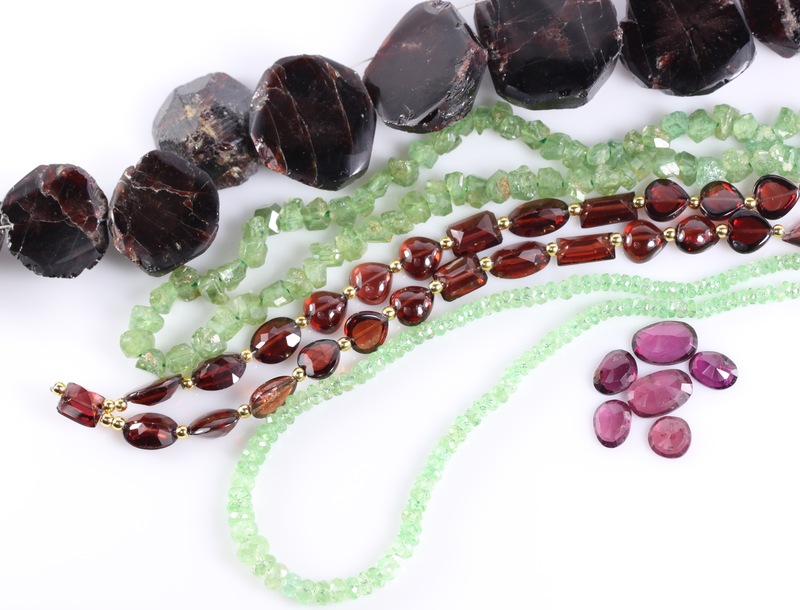 From top: Pyrope crystal strand, halved and polished, rough dematoid garnet beads, faceted pyrope garnet beads, tsavorite garnet strand and rose cut rhodolite garnets. This woman is brave (possibly insane) and beyond fascinating. 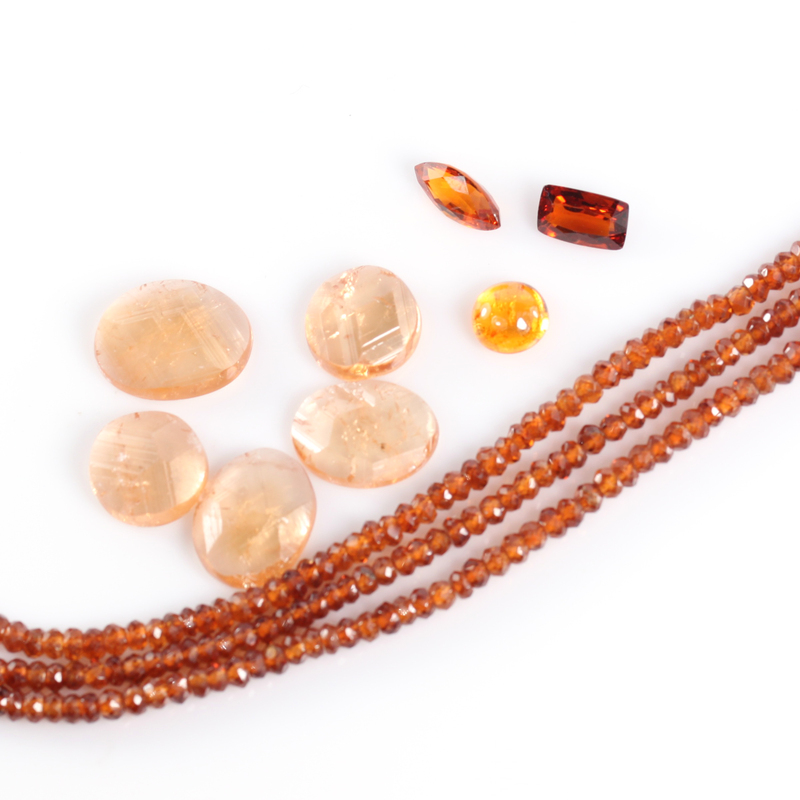 Variety of orange garnets (going clockwise from left): “Surface” cut hessonite garnets, faceted Mandarin garnets (spessaritite garnets from Namibia), spessartite garnet cabochon and faceted strands. Kyanite is a very interesting stone that I’ve seen in blue and green. 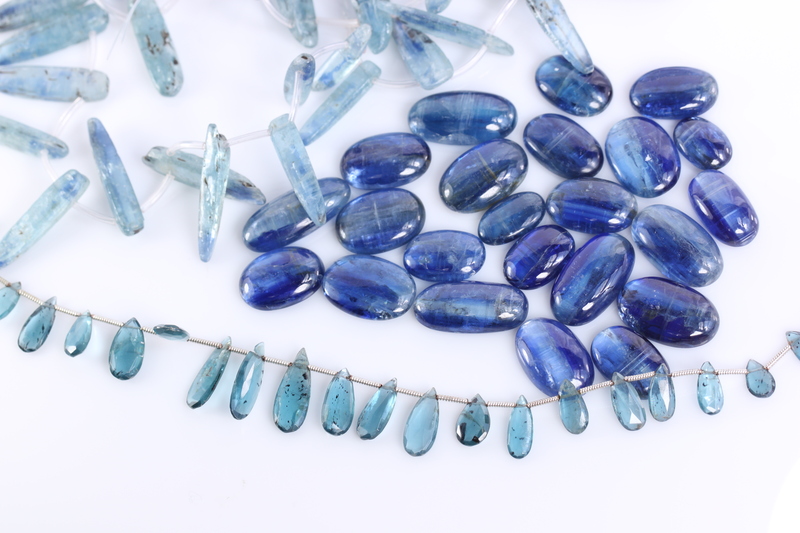 This year I bought some blue rough stuff as well as faceted briolettes and gorgeous cabochons. Imperial topaz, now one of my all time favorites! 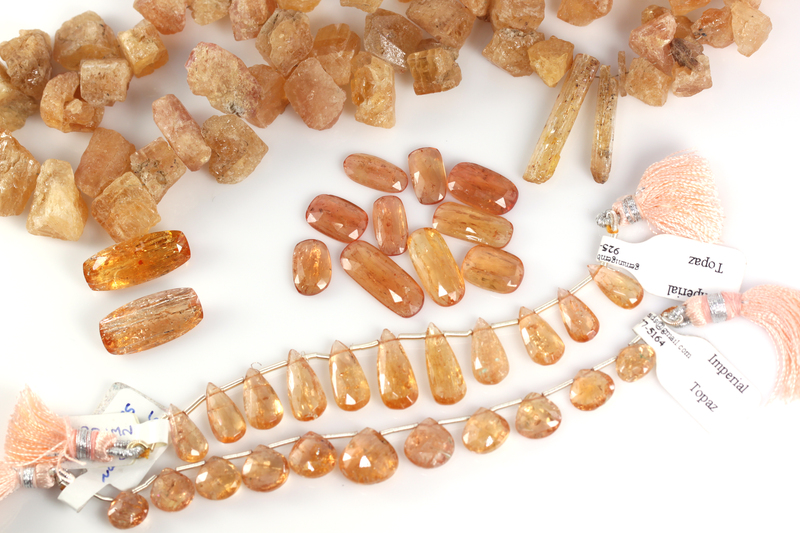 From top: strand of rough crystals, a pair of gorgeous faceted rectangles, a selection of rose cuts, and two strands of briolettes. Anyone who knows me, knows I have a deep love for tourmalines. Who can blame me for going just a little nuts – check out some of my coups! 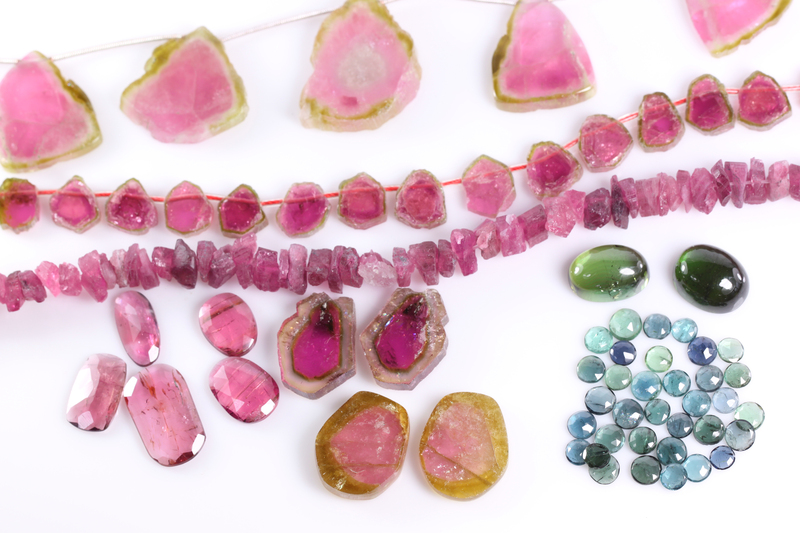 From top, then left to right: 2 strands of watermelon slices, strand of rough pink, pink rose cuts, watermelon slices, a pair of green tourmaline cabochons and a parcel of rose cut blue “indicolite” rounds. This year I got to meet one of my “online” clients. 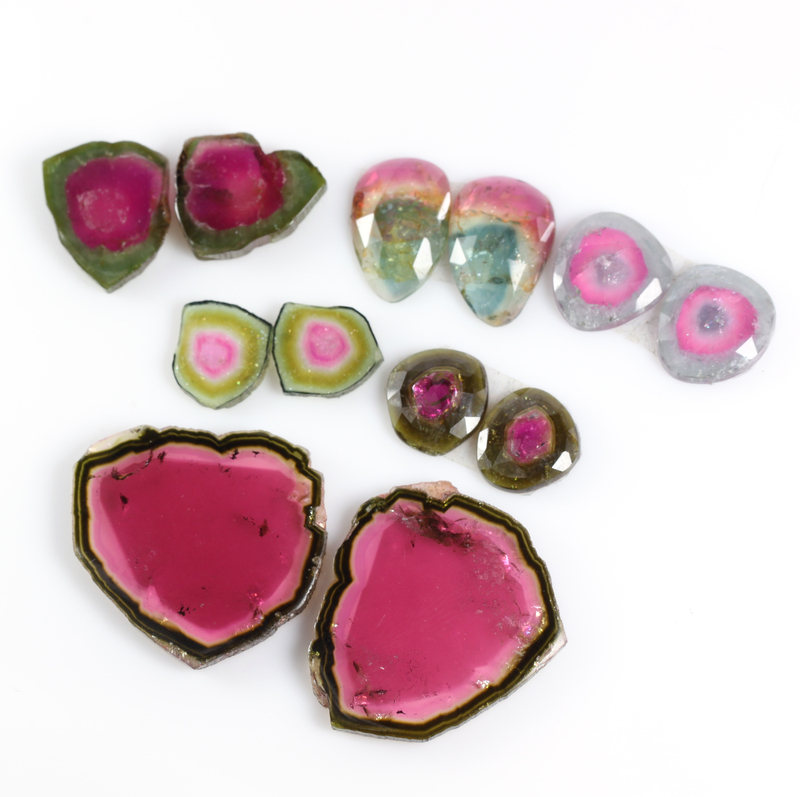 An obsessive watermelon tourmaline collector, so we got along just fine (especially after she sent me a text that said this: “Hi Lydia, I felt like I was meeting a rockstar yesterday…”). It’s always cool to meet the people that love your stuff. Thank you Susan! See a rock you gotta have? Want something made special, just for you? 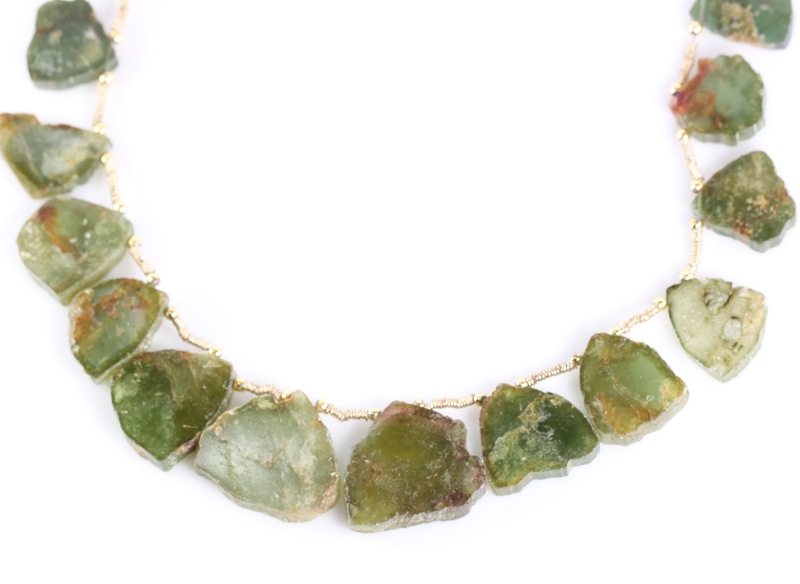 Send me a note here: lydia@ledajewelco.com. I’d love to hear from you! 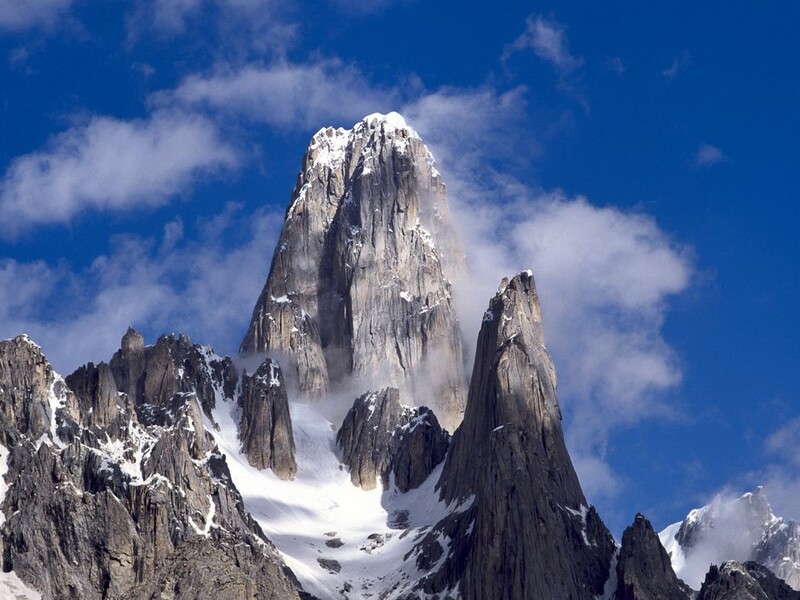 You are currently viewing the archives for February, 2014 at ledajewelco.